Go ahead and scroll down below the video to begin learning more about the latest version of the Nissan Cube. As the well-known Nissan franchise in Dallas - Fort Worth it is our mission to provide our customers with Nissan reviews transcribed by the most striking Nissan writers in the world. 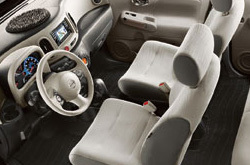 Filled with important facts and specs, each passage gives you full access to everything the Nissan Cube has to offer. Don't wait any longer - get started on your research! 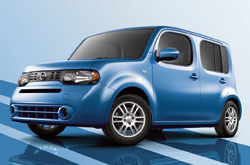 Compare the 2013 Nissan Cube side-by-side with vehicles like the 2013 Scion xB, Kia Soul and the Honda Fit, and you'll see that the Cube transcends the competition in various areas. Check out our Quick List below to find out why! Our Nissan dealership in Dallas - Fort Worth is rooted near several bordering cities! So, you're a quick commute away from acquiring legitimate OEM parts and work from Nissan technicians! We also furnish a free warranty on repairs! Nissans in Dallas - Fort Worth can take a triumphing, so turn to the auto repair professionals in Dallas - Fort Worth - Texas Nissan. We handle a diverse set of jobs with finesse, including Nissan fuel filter replacement, tire rotation and maintenances and, of course, heavy tasks like shock and strut repair - and this is just a tiny part of what we can take care of. It's obvious - to get reasonable prices and professionals Nissan repairs, Texas Nissan should be your number one choice when figuring out a Dallas - Fort Worth auto center. For bountiful savings, check out coupon specials at the succeeding link.